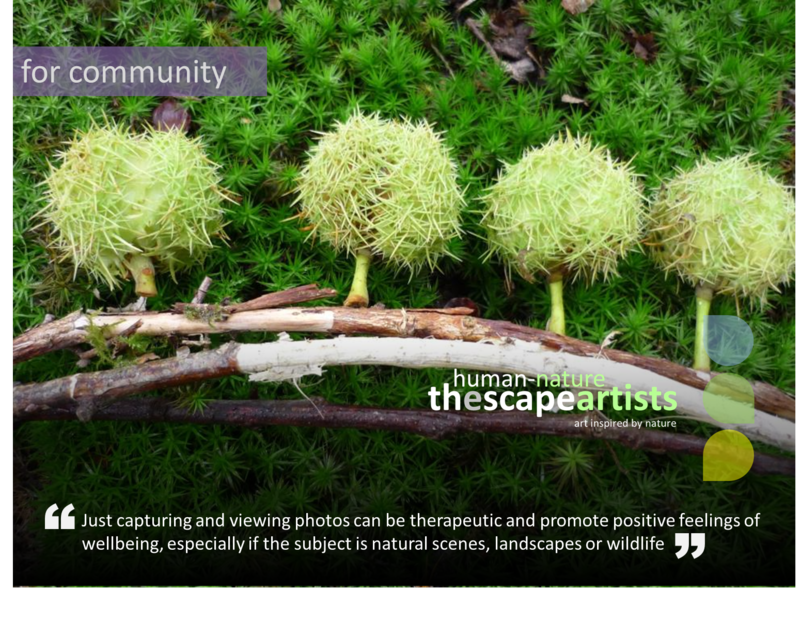 thescapeartists provides a collaborative network of artists who use our online galleries within this website to showcase their work. 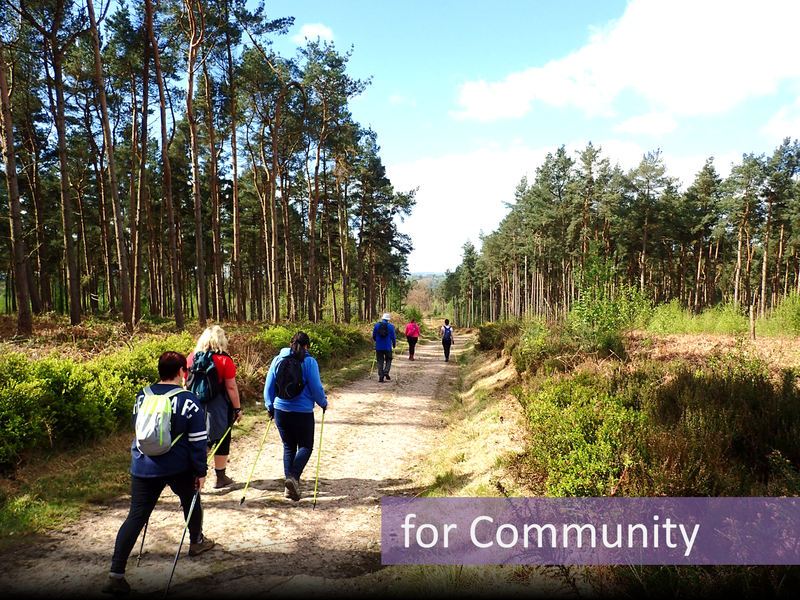 In doing this they help us to emphasise the importance of art and nature to wellbeing – whilst at the same time helping to fund the green exercise activities provided by greenspacescapes. Wherever possible we draw on the skills of our artists to support our community wellbeing people, place and planet projects. They help us deliver creative art workshops and creative experience days using high quality indoor venues – and when the weather permits outdoors in the landscape. We can even provide pottery craft courses adding some local interest and linking to our industrial heritage. Our artists can provide services to design community and wellbeing spaces which convey a health and wellbeing message. With experience in art installations and therapeutic nature photography, the artists can provide artwork to use within community or health care settings. We help to convey a sense of wellbeing through art and nature – effectively ‘bringing nature closer to home’ for those patients where nature and green space is not readily accessible. Access to nature – We aim to ‘bring nature closer to home’, by making it more accessible, especially for those confined to an urban environment, educational or hospital setting. We do this by designing spaces and garden environments, or by using art or therapeutic images of nature to convey a wellbeing message. Garden and Wellbeing Space Design – Qualified in garden design, our designers aim not only to provide passive appreciation of nature, but also to provide an opportunity to interact with it. Where possible we will involve participants in the design and encourage collaborative environmental artwork pieces to incorporate in the overall design, the creation of which has, in itself, been a therapeutic, restorative or learning experience. Therapeutic Environments for Counselling – Through collaboration with other organisations and charities, we aim to provide access to high quality therapeutic environments and settings which will allow counselling, talking or ‘walk/talking’ therapy sessions to be delivered beyond the conventional ‘four walls’ and out into a garden environment or whilst ‘walking and taking’ in the wider natural landscape. Therapeutic Photography and Wall Artwork – We can provide images as professionally framed fine art prints. These nature and landscape scenes can promote a beneficial health and healing effect and an improved sense of wellbeing, particularly suitable for hospital and health care corridors and patient’s wards. Therapeutic Slideshows and Wellbeing Messaging – Our nature scene images can also be provided as automatically scrolling ‘Moving Pictures’ – therapeutic slideshows showing evocative and healing images via a wall mounted electronic screen or as projected images. These are particularly suitable for hospitals, doctor’s surgery, educational, and business environments including Reception, Communal and Waiting Areas, where the positive ‘Ways to Wellbeing’ messages could be communicated to wider public audiences. Therapeutic images help to relieve the stress of waiting. Framed Photographic Artwork – Our ‘CorporArt’ fine art photography prints can enhance and improve any office or business space and a great way for a business to show some corporate social responsibility (CSR). Equally they make great personal gifts or gifts for the home. Through this website and through our design work we provide wellbeing education on the Ways to Wellbeing and promote the health benefits green spaces bring to the wider community. It’s an important message we think.